Cumulus Media brings a Triple A format to West Michigan flipping Country WTNR-FM (Nash FM 94.5) Grand Rapids to The Q 94.5." The new outlet will play artists such as Mumford & Sons, Imagine Dragons, Sara Bareilles, Beck and and Vance Joy, while kicking off its debut broadcast with Florence and the Machine's "Dog Days Are Over." The launch followed changes in frequencies, formats and brands across the company's 10-station group in Grand Rapids and Muskegon, MI. On January 4, Country listeners found their favorite songs and hosts on two frequencies in Grand Rapids, at its original home on WTNR and on a simulcast at WBBL (107.3). The station also returned to its previous "Thunder Country" moniker and continues to air Country music and fan favorites "The Ty Bentli Show" from 6am-9am, Kim St. James from 10am-1pm, Brad Allen from 1pm-4pm, Lori Bennett from 4pm-7pm and "NASH Nights Live" with Shawn Parr and Elaina Smith from 7pm-12am. 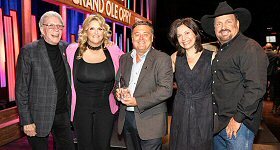 On January 19, the Country simulcast ended with the launch of the AAA "The Q 94.5," while Thunder Country WTNR remained on the 107.3 frequency. Also on January 4, Sports/Talk WBBL was rebranded as "The Ticket" and moved back to its original home on WJRW-AM (1340), which dropped its News/Talk format, as did WKLQ-AM (1490) Muskegon, in favor of simulcasting "The Ticket." Cumulus Grand Rapids and Muskegon VP/Market Manager Bruce Law said, "Sports marketing has always been a top priority ‘buy' for America's most popular advertisers. Sports fans pay close attention to what's being presented on Sports Talk radio. We are excited to add a new morning show with Michigan-centric content hosted by Matt Shepard called Shep, Shower ‘N' Shave and will continue the popular huge show from 3pm to 6pm, plus offer two of the most popular national shows, The Dan Patrick Show and The Jim Rome Show." Operations Manager Lori Bennett added, "Grand Rapids and West Michigan have been ready for a Triple A station, featuring a diverse musicology of artists that have a massive following and have received overwhelming acclaim at venues such as 20 Monroe Live and Frederik Meijer Gardens, which just this summer presented sold-out shows for The Decemberists, Michael Franti and Spearhead, Blondie, Fitz and The Tantrums and Brandi Carlisle. In the meantime, we are so excited to be able to work with and support local artists who have found it difficult to get attention from local radio. Not anymore. As we say on "The Q"... it's different here."